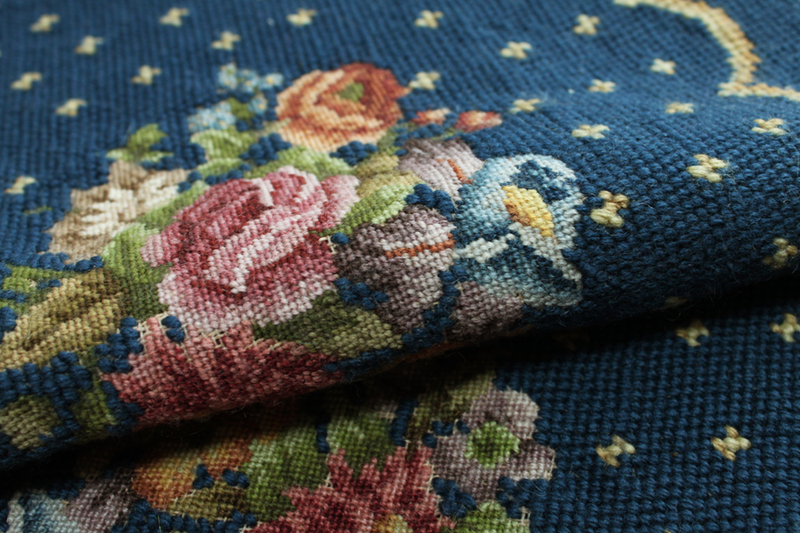 my obsession with needlepoint started years ago when I was living in paris and regularly visited the puces de vanves, where i purchased unfinished needlepoint projects for a song. 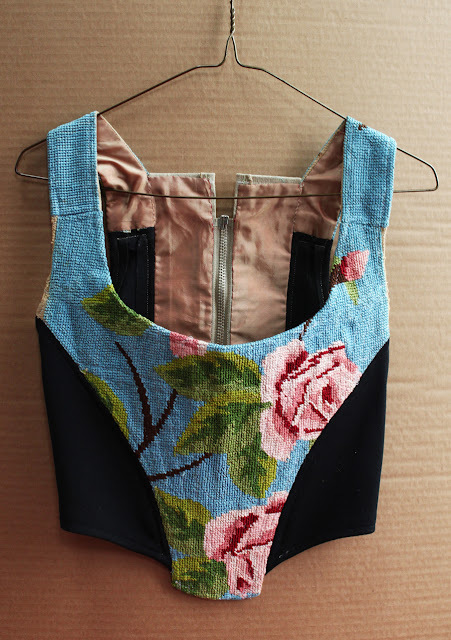 a good friend of mine owned the fashion it-item at the time: a vivienne westwood corset. the real thing was completely beyond my budget, so i borrowed it to copy the pattern and made my own version using a piece of vintage needlepoint. since then, my collection has steadily grown. i have made xmas stockings with them, and am now planning a patchwork needlepoint rug. 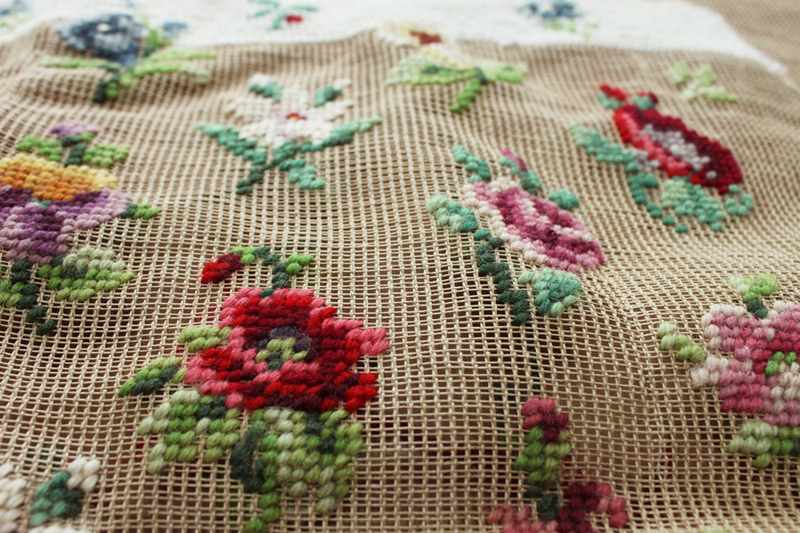 i don't mind that the embroidery is unfinished, i think it adds to the charm. i have also learned a lot more about embroidery techniques by collecting and reading the books by the late and great erica wilson, the doyenne of embroidery. erica deserves a separate blogpost, so i will just leave you with these images for now.